“Detectives from the Metropolitan Police Department’s Homicide Branch are investigating the homicide that occurred on Friday, July 17, 2015 at approximately 9:10 pm. 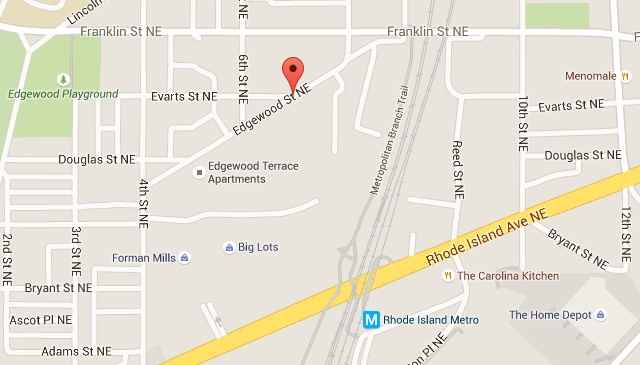 Officers from the Fifth District responded to a call for a shooting in the 600 block of Edgewood Street, Northeast. Upon arrival, they located an adult male victim suffering from an apparent gunshot wound. DC Fire and Emergency Medical Services personnel responded and transported the victim to a local hospital where he succumbed to his injuries and was pronounced dead. The decedent has been identified as 18-year-old Bryan Perkins of Northeast, Washington, DC. Three additional adult males sustained gunshot wounds in this offense and were transported to local hospitals for treatment.